Commissioning is an intensive quality assurance process that begins during the design of a new building and continues through construction, occupancy, and operation. Commissioning ensures that the new building operates as the owner initially intended and that building staff are prepared to operate and maintain its systems and equipment. Retro-commissioning involves identifying and correcting deficient building sub-systems and controls in existing buildings. The process identifies drifts from normal performance and fine-tunes those systems, bringing them back to an optimal level of operational efficiency. Retro-commissioning applies the commissioning process to existing buildings and seeks to improve how building equipment and systems function together. Retro-commissioning can often resolve problems that occurred during building design/construction or address problems that have developed during the building’s life. An assessment of the building’s systems for the purpose of identifying recommended, but not required, energy conservation measures. The recommended measures are to be provided in a report to the building owner and filed with the New York City Department of Buildings. 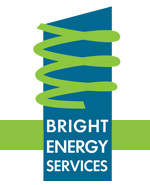 Whether your building needs commissioning, retro-commissioning, or to achieve NYC Local Law 87, Bright Energy Services has consistently delivered sophisticated, useful energy assessments to our clients at very reasonable costs. In fact, when deficient items are corrected and energy conservation measures are implemented, the savings are usually more than the cost of the assessment.